Museum audio tours have been around for decades, but there are many more tools available at your disposal that don’t require museums to purchase any hardware. Guide by Cell’s industry-leading visitor engagement technology—our Mobile Web Authoring platform and Text Messaging service—require only your visitors’ mobile devices. The vast majority of visitors carry smartphones at all times. Many prefer to experience your museum on their own terms rather than following a tour or reading placards on a wall. You can create a rich and engaging interactive experience in minutes using Guide by Cell’s Mobile Web Authoring Platform. You can create a self-guided tour that visitors can access by navigating with their smartphones. Share videos, audio recordings and images, quiz visitors on what they’ve learned. The smartphone tours are easy to use and don’t require any downloads. The tours can be accessed by texting a personalized keyword to our shortcode or scanning a QR code. 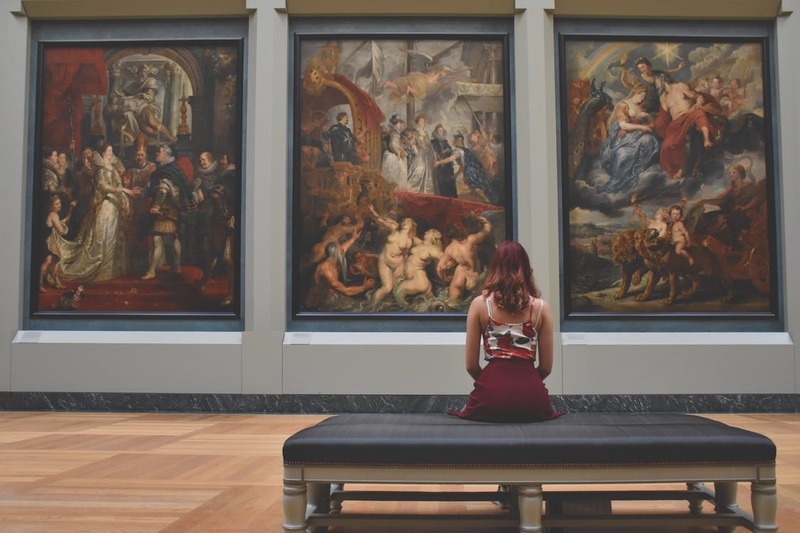 And you have the ability to learn about your most and least popular exhibits through real-time user analytics, allowing you to alter your content, your tour or exhibits. And that’s just the tip of the iceberg. With Guide by Cell, you can communicate with visitors and members not just during, but before or after their visit. After they opt in to receive text messages, you can communicate with groups of people or individuals. Update them on special events and fundraisers, invite them to participate in scavenger hunts and submit feedback, and reach younger visitors who prefer communicating by text message rather than email, which we know often gets lost or routed to the spam folder. We can get you up-and-running in as quickly as one day, and there’s no need to involve your IT department. Guide by Cell services are easy to maintain and manage; anyone can do it. Find out how Guide by Cell can help your cultural institution engage with visitors and create a better experience for visitors. Sign up for a FREE 20-minute demo with one of our mobile engagement experts. Call us at 415-615-0150 or email info@guidebycell.com.